Looking further into the Edge Hill service station being scoped for potential demolition by the Gloucester Main Street Preservation Trust and presented to the Gloucester County Board of Supervisors, we decided to see if the Fairfield Foundation was still the owner of the present Edge Hill Service Station and it is. 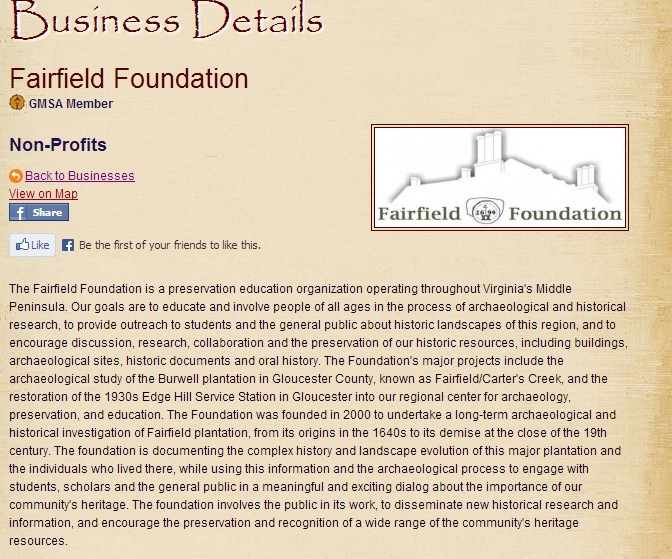 What we also looked up is any ties between Fairfield Foundation and the Gloucester Main Street Preservation Trust. We found one. The present Edge Hill Service Station is listed in the county as Fairfield Edge Hill LLC or a Limited Liability Company. Not a non profit organization, yet still tied to the non profit foundation. https://apps.gloucesterva.info/cor/landbookdb/landbook3DNN.asp?Param=29861 is the link to this information. 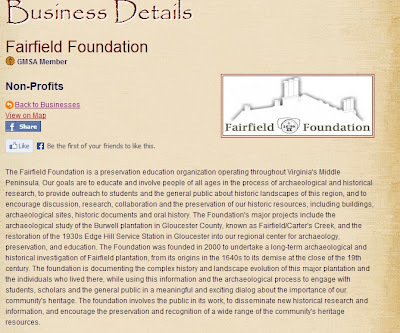 The Fairfield Foundation is a member of the Gloucester Main Street Association. You can blow this image up to see it more clearly by clicking on it. Now the Gloucester Main Street Association is tied to the Gloucester Main Street Preservation Trust which has Louise Theberge, chairperson of the Gloucester County Board of Supervisors, on it's board. Both organizations are tied to the Cook Foundation. The Edge Hill Service Station is a for profit arm of the Fairfield Foundation which is a non profit organization. The question that comes up that we ask is the Fairfield Edge Hill LLC looking to sell the building to the county for these new plans possibly making a profit on the building and at an expense to local taxpayers? The present market value of the property is $97,300.00 according to Land Book which is available for everyone to view at the link above. Fairfield has owned this property since May 19th, 2010 and to date has not done much with it except restore the exterior to a more pleasant facade fixing numerous exterior damage. Any plans for opening it up as an educational facility would seem to be running far behind any estimations if it were meant to be opened to the public. If it was meant to be restored as a period property, again, it is running way behind any reasonable estimations. The period restoration that was originally talked about is a 1930's service station. Here it is a few days short of 3 years later and still nothing period about a period restoration taking place. 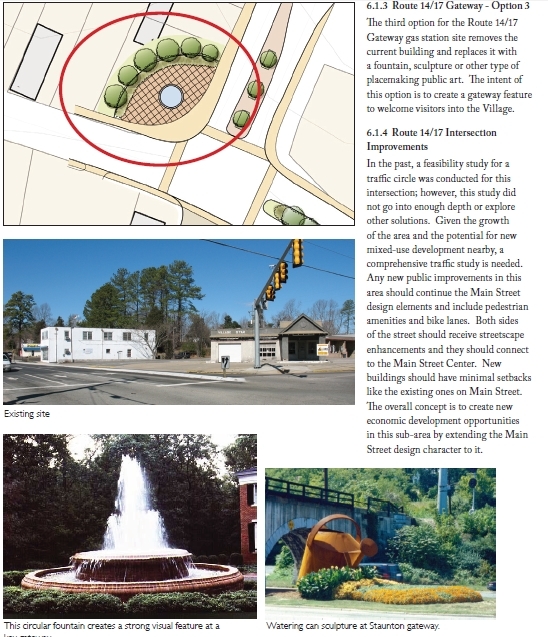 So again one must question why the Gloucester Main Street Preservation Trust was making plans that included potential demolition of this structure when the GMSPT should know that the new owners have plans for the property, or is it that these are the real plans? And why did the Board of Supervisors except review of the plans with this included in them? Straight forward facts with straight forward questions. Plain and simple. Free MP3 download. - Scabeater - Searching. A dark Ambient instrumental tune. Distributed under a CC Lic non commercial/attribution download. https://docs.google.com/file/d/0B5NJpRCvjyV8SWxCMEZSNXV5SVE/edit?usp=sharing Our way of saying thanks for spending time with us.